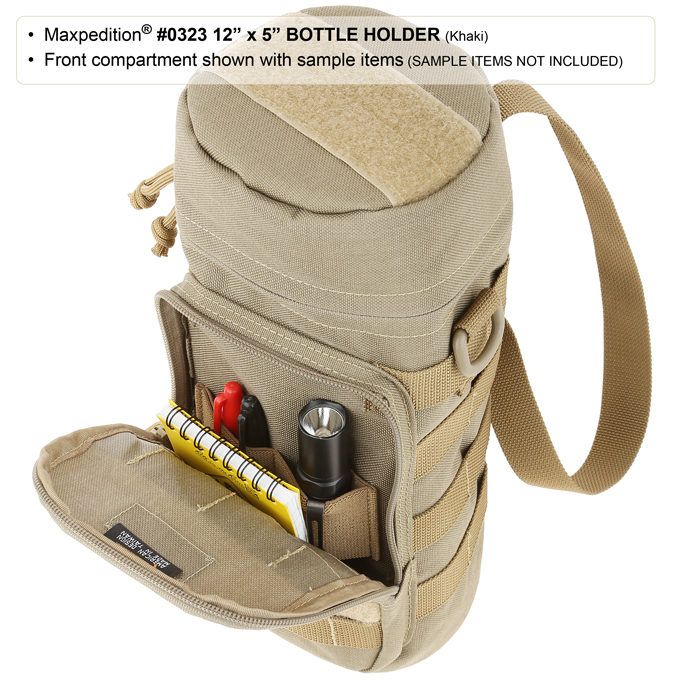 Click the button below to add the Maxpedition 12" x 5" Bottle Holder to your wish list. 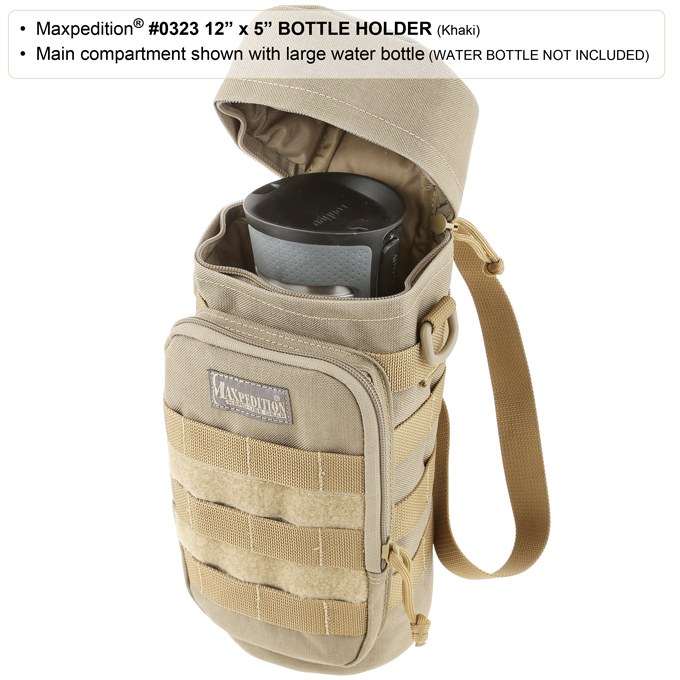 If you are looking for a perfect case that can best hold your water container, bottle of wine (750 ml), and even your camera lens, the Maxpedition 12” x 5” Bottle Holder is just the right thing for you. Its fully padded compartment protects its contents from damage and comes with an adjustable strap for easy carry. The bottle holder also features a front pouch with internal elastic loops to carry a multitude of items securely such as a small notebook, a small flashlight, pens, and keys. Generous PALS webbing on the front and sides of the bottle holder is MOLLE compatible for adding modular pockets and accessories. To personalize your bottle holder, morale patches can be adhered onto exterior loop fields. The bottle holder provides for other carry options. Using TacTie straps, it can be attached onto any packs, vests, MOLLE equipment, and PALS surfaces. There is also a Keyper quick release hook on the back for easy clipping, and D rings found on each side are for optional shoulder strap (sold separately) carry.